Taking its name from the Greek word ‘epidosis’, meaning growing together, this captivating crystal suggests there could be some exciting news about a pregnancy or engagement this week. Unexpected messages from old friends, ex-colleagues and long-lost family members may leave you feeling very emotional, and love could blossom between two people you know too. Celebrate the happiness around you by keeping an Epidote in your home, or placing one by a photo of you. Bewitching people’s hearts and minds for centuries, this spellbinding crystal suggests you could find yourself feeling very torn between two people around you this week. Disagreements between friends, colleagues and family members may leave you feeling very unsettled, and a snappy comment from someone you love could upset you too. Prevent their negativity from draining your energy by placing a Garnet crystal in your home, or keeping one nearby. Synonymous with love and healing, this beautiful crystal suggests you may find yourself feeling slightly down about your appearance this week. Thoughtless comments from friends, colleagues and family members may leave you feeling very tearful, and someone you love could upset you with their dismissive behaviour too. Nurture your heart and mind - and leave your worries behind - by keeping a Selenite by your make up mirror, or placing one by a photo of yourself. Captivating people’s hearts for centuries, this enchanting crystal suggests you may find yourself feeling very wary of someone around you this week. Jealous - or competitive - behaviour from friends, colleagues and family members may leave you feeling very unsettled, and someone you love could upset you with a silly comment about your appearance too. Protect yourself from their bad vibes and negativity - and fill your heart with positivity - by keeping a Carnelian nearby. Thought to gently heal our hearts and minds - and help us leave our worries behind - this stunning crystal suggests you may find yourself feeling very empowered by someone around you this week. Deep and meaningful conversations with friends, colleagues and loved ones may leave you feeling very inspired, and you may find yourself feeling really positive about the future too. Maximise your joy and positivity by keeping a Mangano Calcite in your home. 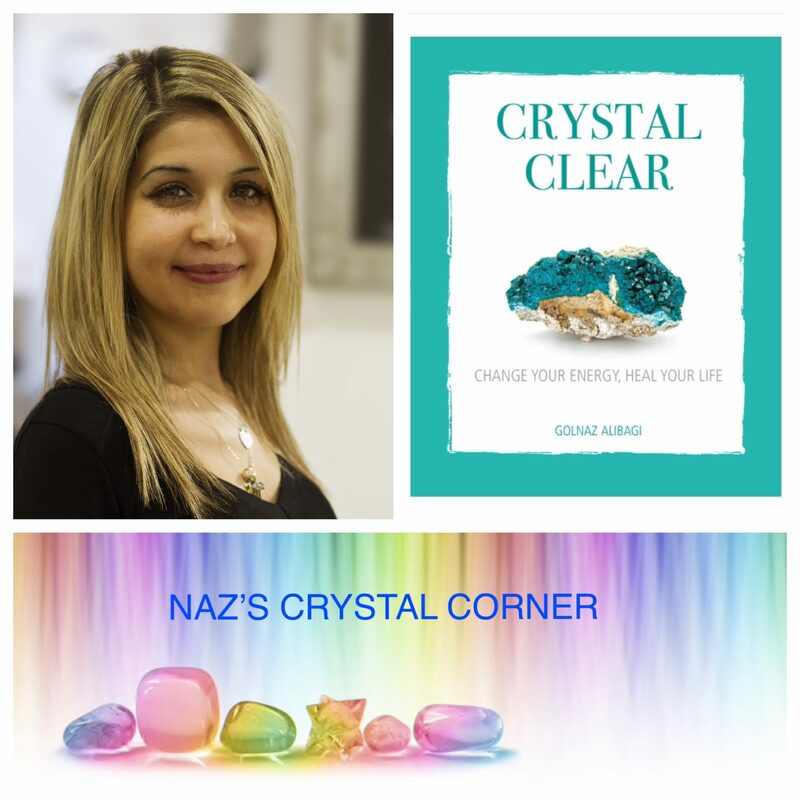 With a fascinating history (dating back to 300 BC), this stunning crystal is thought to help with everything - from attracting love and improving your health, to brightening your mood and boosting your wealth! Like this beautiful crystal - which is so often mistaken for Yellow Topaz - this beautiful crystal suggests you may find yourself feeling very misunderstood by someone around you this week. Prevent their negativity from leaving you teary by keeping a Citrine nearby. Synonymous with courage, strength and protection, this beautiful crystal is often associated with the Egyptian Goddess of the Moon, Sunrise and Cats, Bast - who is thought to have been so devoted to protecting her father, she’d turn into a cat each night to guard him! Like this beautiful goddess - who is thought to have been a goddess by day, and cat by night - this stunning crystal suggests someone’s words might not match their actions this week. Often associated with the Greek Goddess of Magic and Witchcraft, Hecates, this spellbinding crystal suggests you may find yourself feeling slightly used by someone around you this week. Ungrateful behaviour from friends, colleagues and loved ones may leave you feeling very frustrated, and you could see a darker side to someone around you too. Calm your heart and mind - and leave your worries behind - by keeping a Smoky Quartz in your bedroom, or placing one by your window. Prized for centuries, this powerfully protective crystal has captured the hearts of everyone - from artists and jewellers, to sculptors and healers - and was often used to create masks, weapons and sculptures. Like this beautiful crystal - which is so easily chipped and broken - this bewitching crystal suggests you may find yourself feeling very sensitive this week. Nurture the child within - and fall in love with the skin you're in - by placing an Obsidian by a photo of yourself as a child. Like the beautiful animal it's named after - which is thought to have nine lives - this bewitching crystal symbolises the start of a new and truly wonderful chapter in your life. New relationships, friendships and work opportunities can all be expected, and a chance encounter with a stranger could lead to the start of a very special relationship too. Leave the past behind you - and prepare for the wonderful adventure in front of you - by keeping a Cat's Eye nearby. Like a glistening candle gently flickering - or the scent of incense silently burning - this magical crystal is synonymous with love and healing. Discovered in the early 20th century, it's thought to have been named by a local Dominican - who combined his daughter's name, 'Larissa', with the Spanish word 'mar', meaning sea, to create the enchanting name we call the gem today. As such, it suggests you may need to show someone how much you love them (like he did) too this week. This beautiful crystal has enchanted the world with its bewitching properties for centuries, and was highly prized by the ancient Chinese - who nicknamed the gem ‘Yu’, meaning ‘royal gem’. Synonymous with integrity, it’s often associated with the story of a ruthless Chinese King - who is thought to have offered to exchange 15 cities for a tiny piece of Jade! As such, it suggests someone could try to buy your love or forgiveness with a gift this week.